There is something truly special about the South that makes me fall head-over-heels in love. The traditions, love, manners, culture, food, and those adorable sweet accents make my heart incredibly happy. If you throw a Southern Country Club wedding into the mix, all bets are off. My heart almost burst with happiness on Annabelle and Wade’s wedding day in Valdosta, Georgia. You might remember their swoon-worthy engagement photos also taken in South Georgia. Get ready y’all, this wedding was gorgeous from start to finish! I sipped my coffee on that cold December morning and went over the timeline one final time before heading over to the Valdosta Country Club to begin setting up. 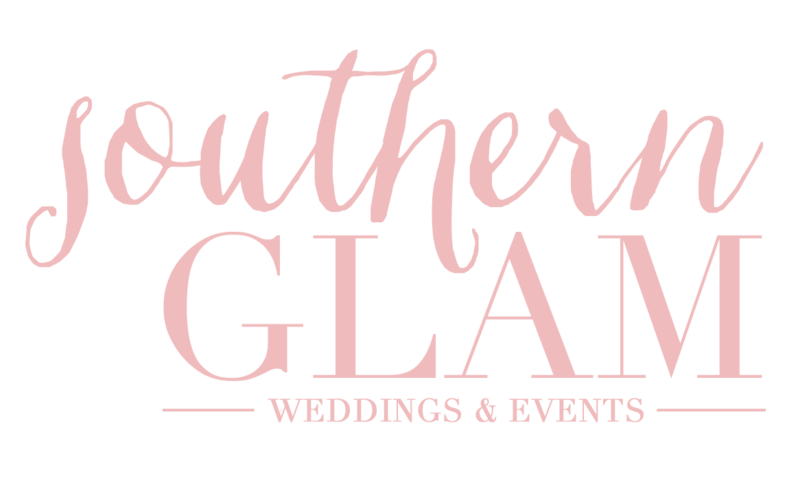 The wedding of the year was definitely not one to take lightly as over 400 guests were expected to attend this Southern Country Club soiree; it was set to rival the royal wedding and let me tell you, it did! With Amanda Sumner Photography behind the lens, this Southern Glam wedding that would have made Princess Kate pea green with envy. Congratulations, Mr. and Mrs. Henry! The covert gown had been kept under wraps until the big reveal on the wedding day. The bridesmaids’ reactions and Annabelle’s flawless twirl were priceless. It was soon time for the second First Look to commence as Annabelle announced she was ready to see her man. Dapper Wade was waiting for his bride outside on the golf course. All the ladies inside eagerly watched Annabelle walk up behind him and happy tears flowed outdoors AND indoors when Wade turned around to see Annabelle for the first time. More twirls. That Annabelle sure did know what she was doing when she gave me a minor heart attack over her train removal. A large wedding party is to be expected in a Southern wedding. The Barbour + Henry bunch (that was over 20 people) were an absolute pleasure and I enjoyed getting to know each of them. The final touches were placed at the Country Club and the wedding party headed over to the church so the future Henrys could tie the knot. The already beautiful church was decorated with lovely greenery and Christmas trees. Traditional Christmas hymns were played before the processional started which perfectly tied the season into the special wedding day. Annabelle’s brother-in-law Adam walked her down the aisle and there was not a dry eye in the church. Be still by heart! Mr. and Mrs. Henry were officially married! After an incredibly sweet ceremony, it was time to celebrate back at the country club. Party “Turn Down for Wade” was in fully swing with a packed dance floor up until the last dance. Annabelle and Wade’s Southern Country Club wedding was a dream and I am so grateful to have been part of their special day. Congratulations, sweet Henrys!